Andy on his favorite grapefruit perfumes (with a review of Atelier Cologne Pomélo Paradis). When I feel tired, fresh grapefruit able to work magic on lifting a mental fog. And to that end, Atelier Cologne Pomélo Paradis opens up promisingly—for a few moments when I first apply, I’m in a fantasy of my own, inhaling the scent of seaside citrus groves, jasmine, and herbs in the salt air. The grapefruit note is refreshing and vivid, made sweeter by a honeysuckle-like accent. A light touch of minty herbs keeps the citrus cool and clean. However, the wholesome cleanliness of Pomélo Paradis becomes bland as time wears on. For a citrus cologne, the lasting power is fine, but nowhere near as good as that of Orange Sanguine or Cedrat Enivrant, the two other citrus-centric fragrances that Atelier Cologne fans will already know. What’s more, Pomélo Paradis is thin and reminiscent of cheap soap. For all its initial sparkle, the perfume falls flat in a matter of minutes. If there weren’t already such a great selection of delightful citrus perfumes, would I have found Pomélo Paradis charming? Perhaps. But it’s doubtful I would have found it craveable. In fact, when I consider Pomélo Paradis next to almost all the other grapefruit perfumes I can think of, most of which can be found at a well-stocked department store counter, it seems even less exciting and forgettable. Starting from the top, my first choice for a perfect grapefruit fragrance is Guerlain Pamplelune. But depending on which way your skin chemistry skews, Pamplelune may either be your gold standard of ruby-red perfection or putrefaction. Either way, it’s an undeniably memorable fragrance. And if you ended up on Pamplelune’s bad side (in other words, it smells like garlic on you) or if you have an especially soft spot for grapefruit scents, try Hermès Eau de Pamplemousse Rose. If you find this grapefruit cologne too tart and acerbic, I’d next recommend the creamy muskiness of Jo Malone Grapefruit, evoking a soft texture akin to the spongy pith that clings to the oily yellow peels (I especially like the scented body cream). I prefer the aforementioned perfumes to Pomélo Paradis, and furthermore, even find myself more drawn to the interesting citrusy accents found in some less singularly grapefruit-focused fragrances. If you like your grapefruit backed up by some heartier notes, I can’t highly enough recommend Jo Loves Pomelo, which explores the natural affinity between its namesake bittersweet citrus and vetiver. Pomelo is so smoothly blended as to make one question where the grapefruit (or pomelo, if you prefer) ends and the vetiver begins. And while the grapefruit is less pronounced, this pairing is also explored in Terre d’Hermès, which may be worth a test if you find the combination of citrus and vetiver especially captivating. 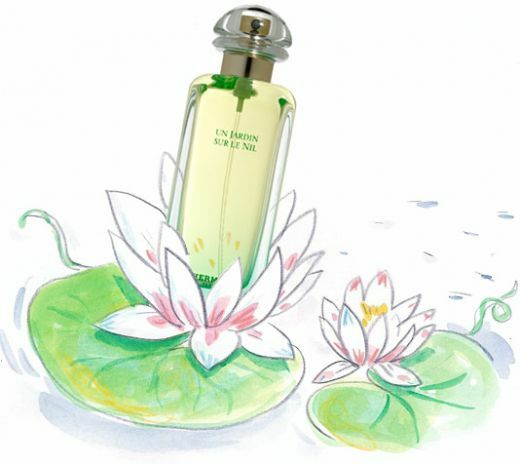 Or, if the thought of splashing fresh fruit with grapefruit juice sounds more to your liking, don’t forget to consider Hermès Un Jardin Sur La Nil, which marries the dry effervescence of grapefruit to mango. For those who don’t mind a bit more sweetness—and seek proof that interesting fruity-floral perfumes do exist—another personal favorite is Prescriptives Calyx, which starts smilingly with a mouthwatering squirt of grapefruit added to guava and passionfruit. If there’s anything my recent foray into grapefruit perfumes has revealed though, it’s that, thank goodness, there are plenty of choices to explore if you crave this uniquely bitter citrus note. When a sparkling-clean, effortlessly wearable grapefruit cologne is what you’re after, Pomélo Paradis might be the perfect selection. And if this perfume is your first choice, I could not fault you either—while it doesn’t work for me, any grapefruit fragrance is better than none at all. Note: While the two fruits are different, and smell somewhat different, I’ve referred to pomelo fragrances above as smelling of grapefruit, mainly because I don’t think I can tell the difference between grapefruit and pomelo as perfume notes. Please see Citrus Perfume Notes guide for more details. Do you like grapefruit notes in perfume? Whether or not you’re drawn to these fragrances, I’d love to hear what you think, and as always, recommendations are welcome. Cornelia Blimber: Very good article, Andy. I love detailed and well thought perfume reviews, like this one. Jillie: A very interesting read, Andy (and a great picture), and I am happy to see love for an old faithful of mine, Calyx, which seems to be divisive in the perfume community. I am pleased to report that since being produced under the Clinique name it hasn’t suffered too much from reformulation and I have enjoyed wearing it again. Sara: My favorite one is indeed “Le Pamplemousse” by Miller Harris. Elisa: Pamplelune really is perfect! My other favorites are L’Eau Mixte and Moschino Funny, which both have a lot of blackcurrant thrown into the mix. limegreen: I love these perfume note articles, thanks so much, Andy! I’ll have to try some of the ones mentioned in your post and in the comments. 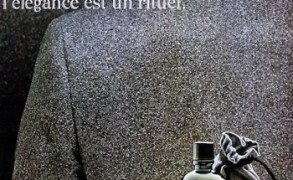 Andy: You know, I have relatively few citrus perfumes compared to many, and I think it’s the result of my unintentional tendency to dismiss or neglect to test fragrances like Cologne Cedrat (“just another cologne,” etc.). But considering how much I like Cologne Sologne, it’s probably worth a try! solanace: May my incapacity for dealing with portable devices provide abundant material for a soul with sense of humour. Austenfan: Are you familiar with No.19? It’s much more informal than the Chanel, and as a result I find it a lot easier to wear. iodine: Love grapefruit in fragrances. My very first niche fragrance was the now discontinued Pamplemousse by Comptoir Sud Pacifique- great, perfect balance between bitterness and juicyness but, alas, lasting twenty minutes! Ann: I am definitely of two minds about grapefruit scents. Of those you’ve listed, I LOVE Eau de Pamplemousse Rose. The others did nothing for me, and I had an awful time with Guerlain’s Pamplelune. Stupidly I blind bought it (I am so much wiser now!) and turned around and resold it on eBay within a week–I don’t remember garlic, but I do recall sulfur and cat pee among its chief problems for me. I know that it works great for other people though. Andy: Glad to hear your Pamplelune disaster was able to be resolved without much trouble. Elisa P: Grapefruit is my favorite citrus fruit, eating-wise. I like it in perfume as well, though I’m not particularly drawn to citrus colognes. I had the same experience with PP. That first spray is “Wow!”. Like jumping into a swimming pool on a hot day. But as it faded, it bored me. 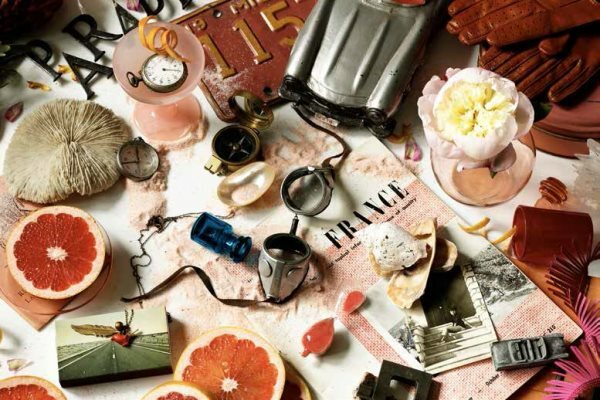 Like Patricia above, I do enjoy Jour d’Hermes’s grapefruit freshness, and the florals make it more interesting to me. Andy: I can just imagine how uplifting Pomelo Paradis would be in dreary weather. And thanks for sharing your take, I love to hear from those who love a fragrance I didn’t, and vice versa.